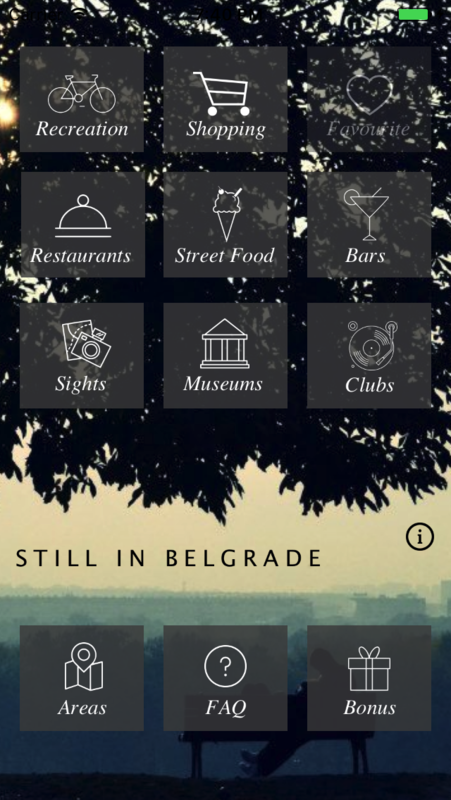 We are pleased to announced that we have released the first issue of our Still in Belgrade-City Guide app on App store. Our app offers around 100 recommendations and hot-spots including DJ bars, restaurants, craft beer, winter & summer clubs, cocktail bars, museums, art galleries, parks, fashion stores, offline maps, descriptions, links, Q&A, etc. Support our magazine and our work and download our app! Discover places in Belgrade you never knew existed with the most popular local city guide www.stillinbelgrade.com and our new mobile app. 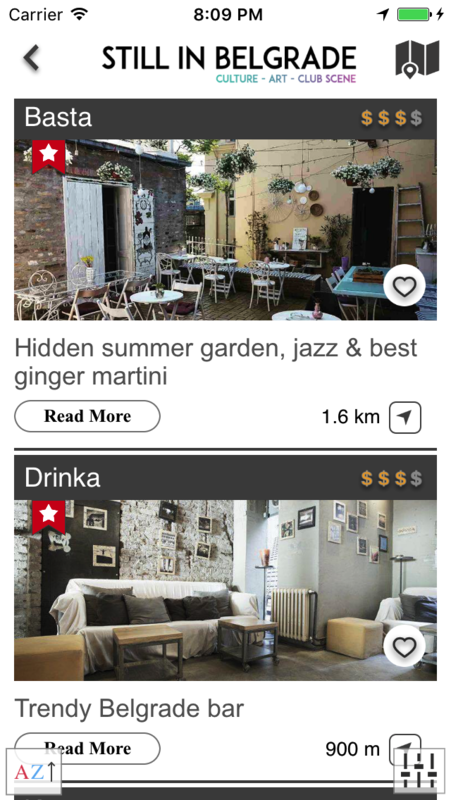 Discover places in Belgrade you never knew existed with insider knowledge and over 200 recommendations listed in our mobile app. Still in Belgrade-City Guide is the ultimate tool to plan your dream Belgrade gateway. An outline of some of the great features of our app is displayed below. Our app features over 100 business and sightseeing recommendations listed under Museums and Galleries, Neighborhoods, Sights, Parks, Shopping, Bars, Restaurants, Clubs , Maps and Transport so you can easily browse, discover and shortlist your favorite places! Our experts, locals and regulars have shared their insider knowledge on our platform, so you can easily become an expert on Belgrade’s contemporary culture and lifestyle. 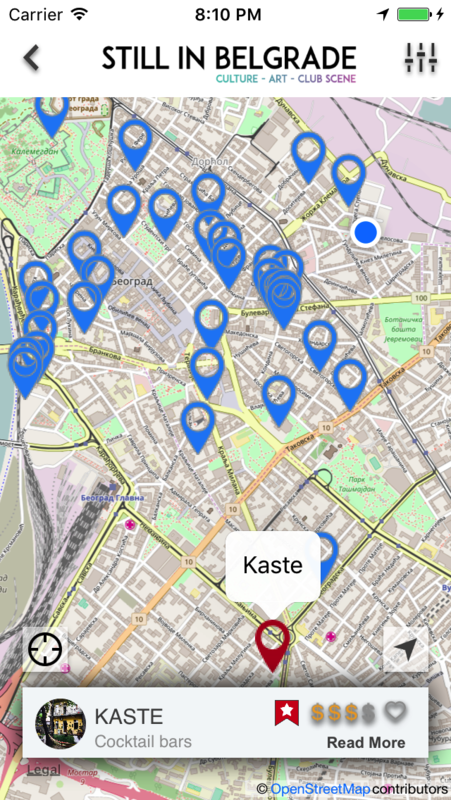 Easily browse and create a list of your own favorites and don’t forget that our app is available offline and can be used as a map and the perfect city guide at any moment while you are visiting Belgrade. Become an expert on Belgrade and share your discoveries! As soon as you have created a list of your favorite places in Belgrade you will be able to share it with your friends and family on social media. Belgrade is an up-and-coming travel destination. A true hidden gem of Eastern Europe. With its remarkable history and culture, thrilling nightlife, rich culinary scene, hip neighborhoods, street art and a diverse architectural mix from the times of the Ottomans, when it was a Kingdom and under Communist rule this European capital will literally blow your mind and fulfill all your travel expectations. You will fall in love with this city at first glance and will feel the desire to discover cool places and explore every inch of it during your stay.